Mammoth Safaris specialises in formulating the most awesome safari experiences, experiences that are in and of themselves incredible adventures. Africa does offer such diversity of adventure and Cape Town is one city that caters superbly well for those looking to spike their levels of adrenalin even more. 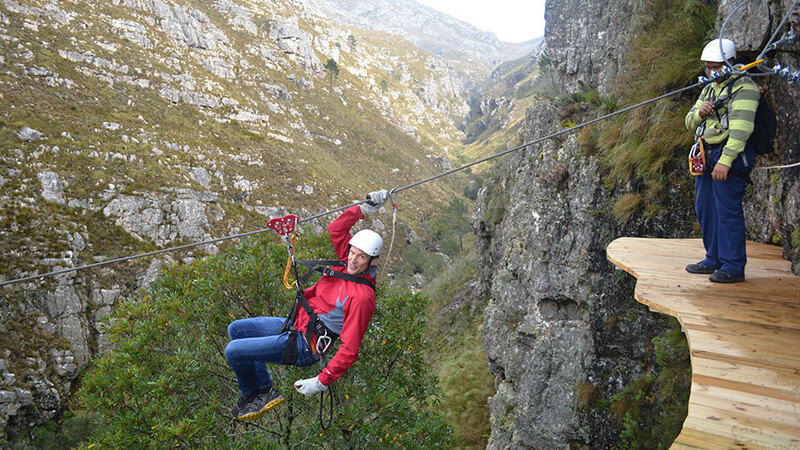 Situated in the stunning Hottentots Holland Nature Reserve just an hour’s drive from the Cape Town city centre and the bustling Waterfront is the Cape Canopy Tour – an amazing zipline experience that whisks one though the mountains – high enough to touch the clouds. The operators here have partnered with the local conservation authority, CapeNature and have gained access to a previously inaccessible and subsequently pristine part of an amazing World Heritage Site. The zipline adventure is a fully guided activity for nature enthusiasts and is suitable for thrill-seekers of virtually any age. A 4×4 vehicle takes you up high up into the mountains to the start of your fast-paced and super fun journey down the mountain. The entire experience is managed by two extremely professional guides who accompany each small group. The guides follow strict safety standards whilst keeping the experience fun, exhilarating and even educational. The Cape Canopy Tour ziplines will “fly” you across huge crevasses, surrounded by vast cliffs and incredible vistas. This is a truly unique and properly exhilarating adventure for thrill-seekers of all ages. One adventure we really enjoy joining our Mammoth Safaris guests on is the Platteklip hike up the city-facing facade of Table Mountain. This hike is quite an adventure all on its own, and can be taken at a leisurely pace or attacked with vigour. Make no mistake, this is a tough climb and we prefer to take our time getting to the top – give yourself at least 2 hours to walk and clamber to the top of this iconic mountain. Should you not want to climb up, there is always the cable car to get you to the top with standing in the snaking queue being the only effort required. Once at the top of the mountain, another adventure awaits those who don’t have a fear of heights – Abseil Africa offers you another way down a sheer cliff face of the mountain! Highly trained staff will gear you up and explain all you need to know to literally hang out on the side of the mountain. Once the exhilarating abseil is done, you will need enough breath and energy to walk your way back to the top. All very worthwhile if you are looking for a thrill. 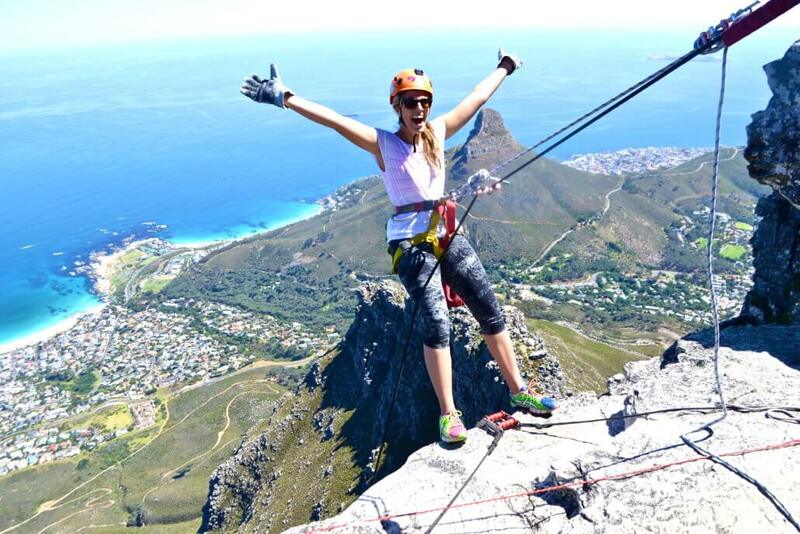 Abseil Africa offers those who have summited the iconic Table Mountain another and somewhat more exciting way down! 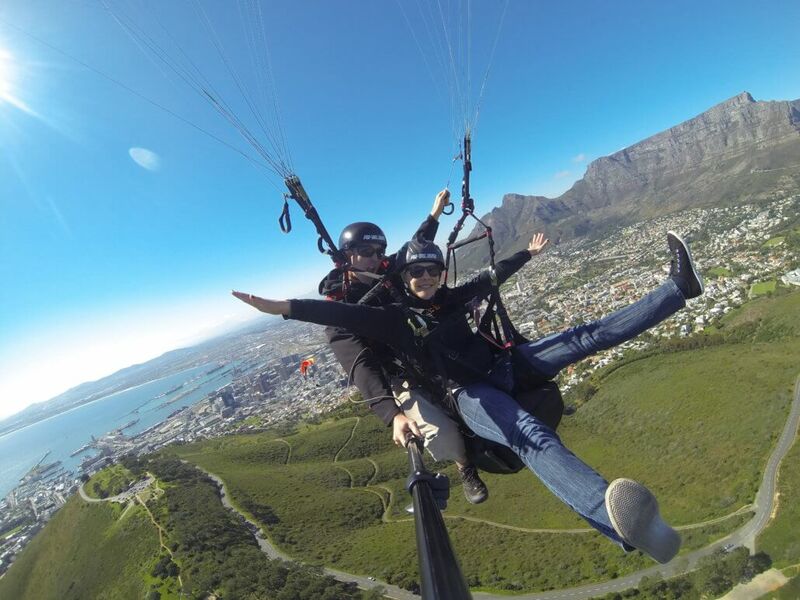 An absolutely amazing way to experience the views of Cape Town – a tandem paraglide requires no previous experience, just no issue with heights and a readiness to fly! There are so many options in the Western Cape for some amazing mountain biking adventures, that the detail for this adventure activity is a blog all on its own. Let it be known, that the best kept non secret in the world is that Cape Town and surrounds offer some of the best mountain biking in the world! Whether you are serious enough to bring your own bike along for the adventure, or should you chose to rent from a number of reputable service providers, one thing is for sure – the trails will not dissapoint. 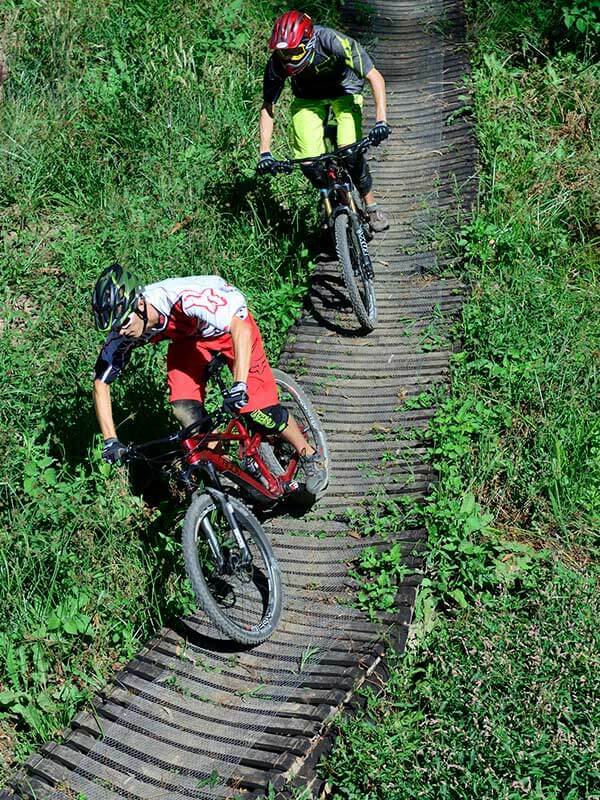 Exciting single tracks, technical rock gardens and fast paced jeep tracks are all options for the novice and experienced rider alike. Venues such as Paul Cluver Wine Estate in Elgin, Jonkershoek in Stellenbosh, Boschendal near Franschhoek, Meerendal in Durbanville and Tokai (just a short drive from the city centre of Cape Town) all offer something for every level of rider. Another significant plus is that many of the routes and trails are offered on spectacular wine farms all delivering great post ride refreshment! Here some thrill seekers swoop across the incredibly well built and wonderfully well maintained trails on the Paul Cluver wine farm in Elgin. The waters off the Southern African coast, particularly around False Bay in Cape Town are home to many ocean going creatures. 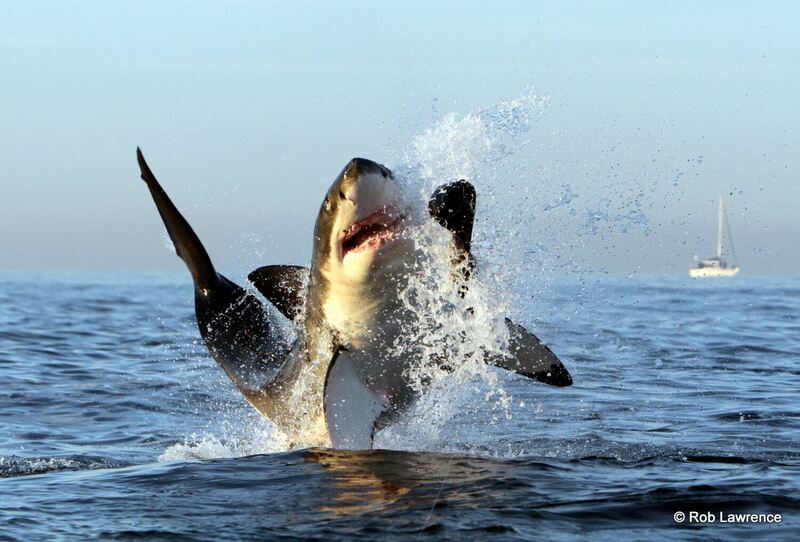 Whales, dolphins, seals, penguins and of course that apex predator – the Great White Shark. 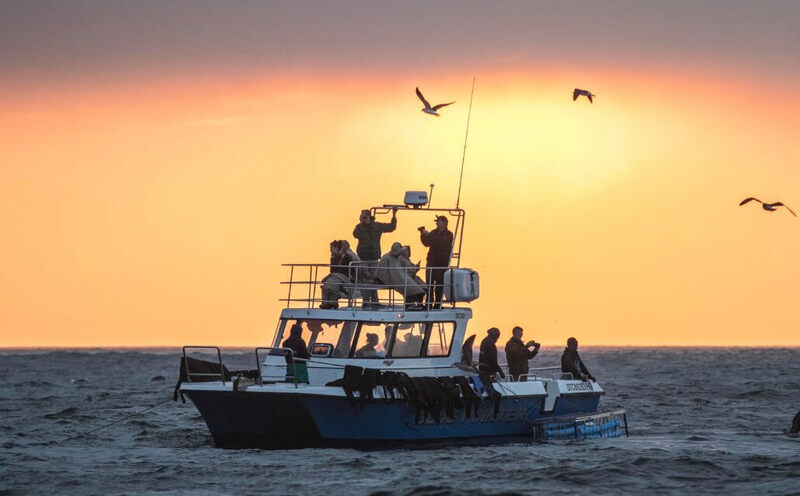 Not without controversy, operators have been showing visitors the power and grace of these enormous fish from the close confines of a cage floating next to a boat. We have found Rob and Karen of African Shark Eco-Charters to be some of the best in the business. 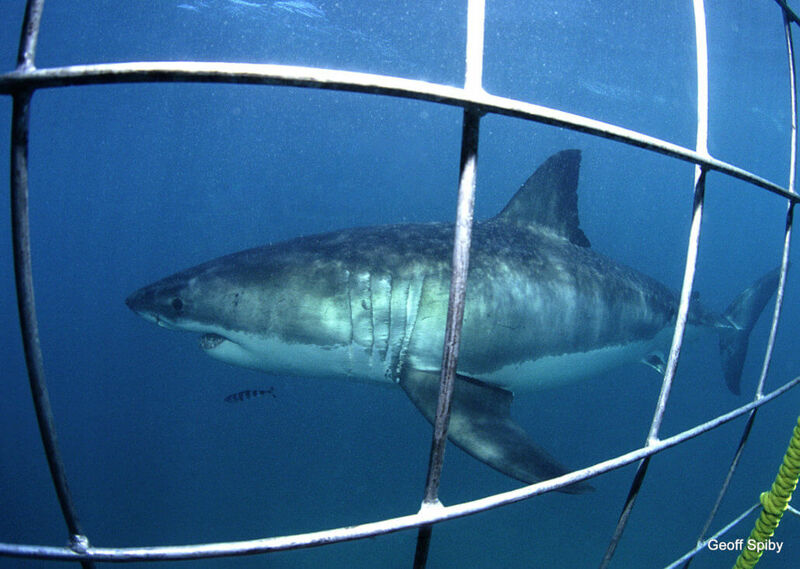 The guys operate with integrity and a real focus on conservation efforts that surround the Great White Shark. For the adventure enthusiast Cape Town does offer so much opportunity to twin the love of something a little (or a lot) extreme. Experience both the open spaces of safari and a wonderfully unique wildlife experience together with adrenalin pumping adventure. For more information on how to book your African adventure and Cape Town adrenalin expedition, twinned with a search for wilderness, adventure and a safari, please contact a member of our sales team by sending an email to info@mammothsafaris.com and visit www.mammothsafaris.com for more destinations and journey ideas.